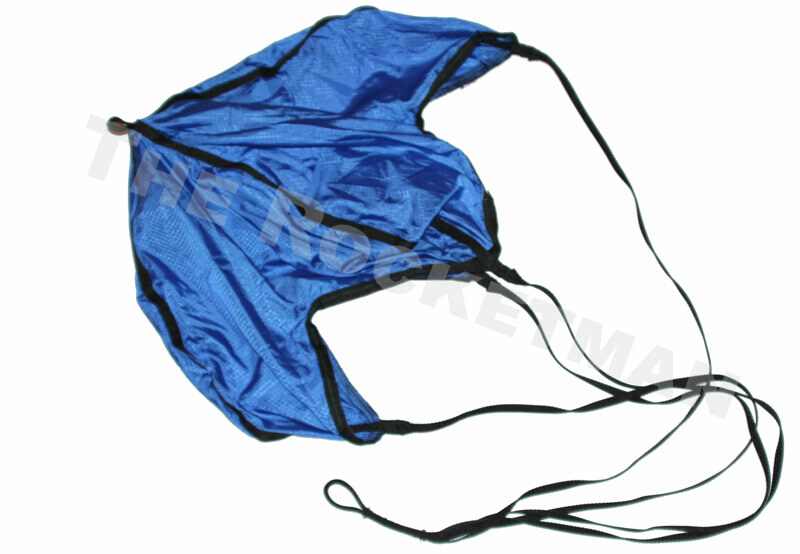 Our Pro-Experimental Parachutes are made from 1.9oz Nylon Ripstop, and are the same material used in hot air balloons. 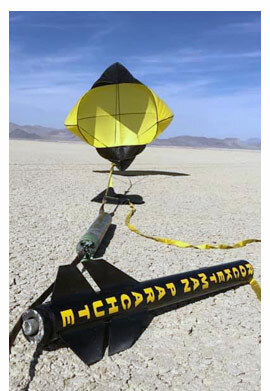 These parachutes are the perfect parachutes for high-speed parachute deployment. 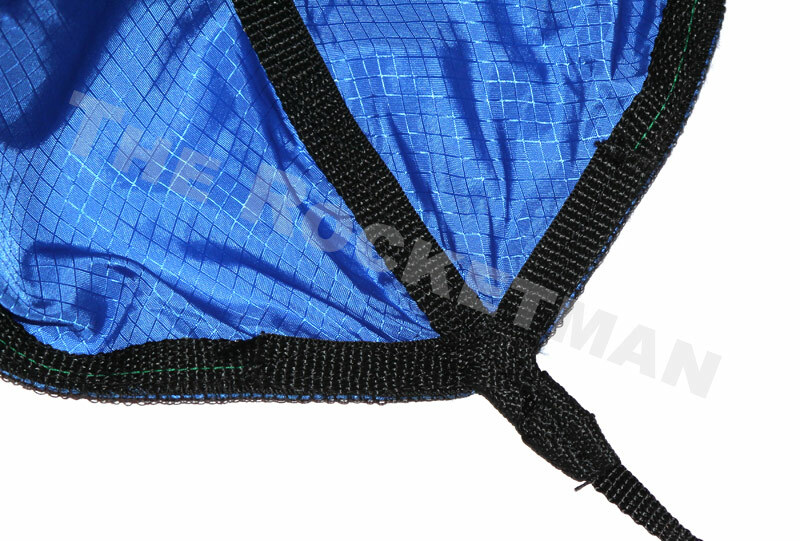 They come with 3/8” polyester lines and are reinforced with ½” polyester webbing over every seam to prevent tearing. There’s also a loop at the top of the parachute to attach drogues, flame shields, and deployment bags onto. 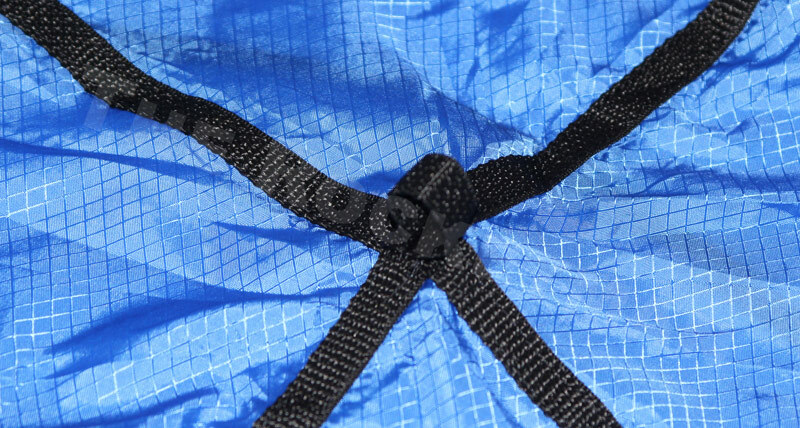 The 4 lines on this parachute prevent tangling and are very easy to pack. Additionally, they are more stable than a cross form or conical parachute and are professionally designed at a very fair price. 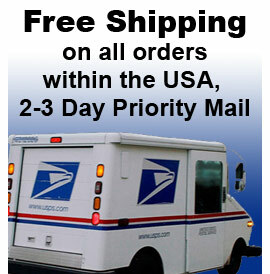 There’s also 19 different sizes to choose from.